ANILA – PNP chief Ronald “Bato” dela Rosa presented to media on Monday a policeman tagged earlier in the kidnapping and killing of Resorts World junket operator Carlos Abad Tan. SPO1 Benjamin Pagarigan surrendered to the PNP Anti-Kidnapping Group (AKG) after his name was included among the members of a syndicate of rogue cops, three of whom were killed along with one civilian in a shootout with police in Cavite. At the same time, dela Rosa ordered the close monitoring of policemen seen frequenting casinos, noting that the suspects in Tan’s kidnapping and murder had apparently been casing casinos and were familiar with who among the junket operators and financiers have come into huge sums of money. 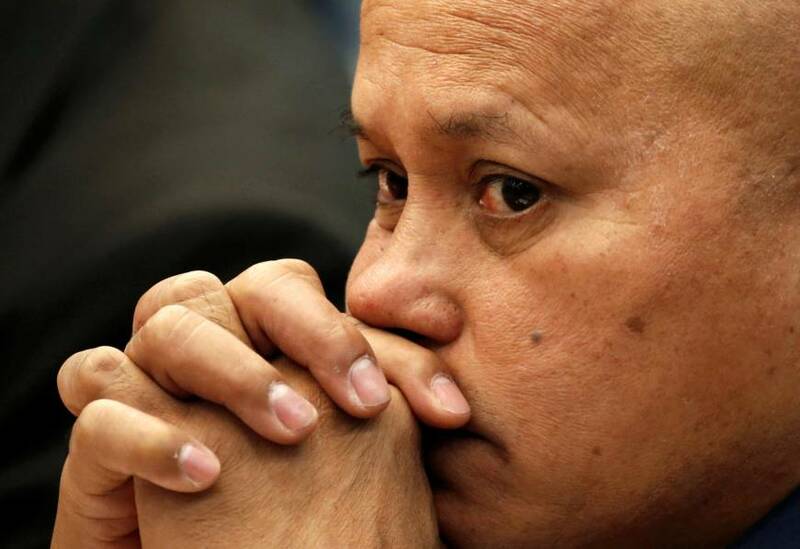 Dela Rosa lamented that many “ninja cops” – the term used for those who recycle drugs seized in police operations and have these sold by their own assets – have not been reporting to “Mindanao, Basilan, Marawi” where they have been ordered deployed for suspected shenanigans. And yet, the PNP chief added, the ninja cops, while shirking re-deployment, can be located in [PAGCOR’S] Entertainment City in Parañaque City. “If they are there to gamble, where did they get the money? If they’re not there to gamble, what’s their business there?” dela Rosa wondered aloud, speaking partly in Filipino. He surmised that rogue cops who used to be protectors of drug rings have felt the heat from the anti-drugs crackdown and are shifting to kidnapping. Tan and his driver were seized in Tagaytay City on Oct. 21. The kidnappers brought them around Tagaytay and demanded P50 million, which was later lowered to P10 million. The driver was subsequently freed by the captors. On Oct. 23, Tan’s body was found on a bridge in Tagytay City and was positively identified by his uncle. His vehicle was recovered the next day in Barangay Pulong Bunga in Silang, Cavite. Probers, drawing from an intelligence operation and CCTV footage, eventually identified the suspects. At dawn of Oct. 27, members of the PNP-AKG tracked down the suspects on board an SUV in Carmona, Cavite. The suspects engaged the lawmen in a firefight, police said. Killed in the gunfight were PO3 Rodel Estonactoc, PO1 Ramil Espejo, PO1 Rolando Albios and Erwin Escobido. Meanwhile, PO3 Armand Labrador was arrested. Still being hunted are police superintendent Johnny Orme of the Southern Police District (SPD), financier Alex Gozum and one John Doe. Among the earlier victims was an online gambling operator in Multinational Village in Parañaque, who had to fork over P10 million. Dela Rosa appealed to Congress to return to PNP the control over the training of policemen, explaining that it is during training where they can weed out the unfit.